This hotel is perfect for some night stay in Punta Cana or if you don’t want to spend a day in an all inclusive resort and instead what to explore the area. It was super quiet, clean and staff was super friendly. Pool area is great. Friendly staff. Breakfast was good not great. We were given room on third floor. We found out that there are no elevators ! We struggled with A.C.as the room was very warm. Phone didn’t work. When we went downstairs, forts desk staff told us that on the third floor AC is an issue. Key didn’t work easily. Took several attempts to open the door each time. Property is clean. Beds and pillows were comfortable. At right price it is a good value. The hotel is very clean. There is nice cold drinking water provided in many places. The phone in the room was not working so had to keep going down to the reception to get anything. The remote for the TV was not working so had to work directly on the TV itself. You’ll struggle with language as only someone at the reception desk would speak English. There is not many options for food around the place so you may have to eat at the hotel restaurant. The service at the hotel restaurant is very poor. The staff cannot speak English. They are very poorly organized. The food would take forever to arrive even if you are the only one sitting there. And when it arrives it it will be cold. Hotel is not worth the money! The hotel is very nice, comfortable, new and modern. Great pool área. Bar and restaurant with breakfast included. The romos have a stove and a mini refridgerator. I suggest the romos include a microwave and also an ice machine for the hotel. The hotel is located right off the highway with easy Access to and from, also easy to get to points of interest. Overall it was a pleasant stay. Whala!urban punta cana places you within 2 miles (3 km) of popular sights like Manati Park Bavaro and Palma Real Shopping Village. This 69-room, 4-star hotel has conveniences like an outdoor pool, free in-room WiFi, and free self parking. Each morning free breakfast is included with your stay. Order from room service to satisfy your hunger without leaving your room, or make new friends over drinks at the bar/lounge. A flat-screen TV comes with satellite channels, and guests can stay connected with free WiFi. Other standard amenities include a refrigerator, a ceiling fan, and a safe. 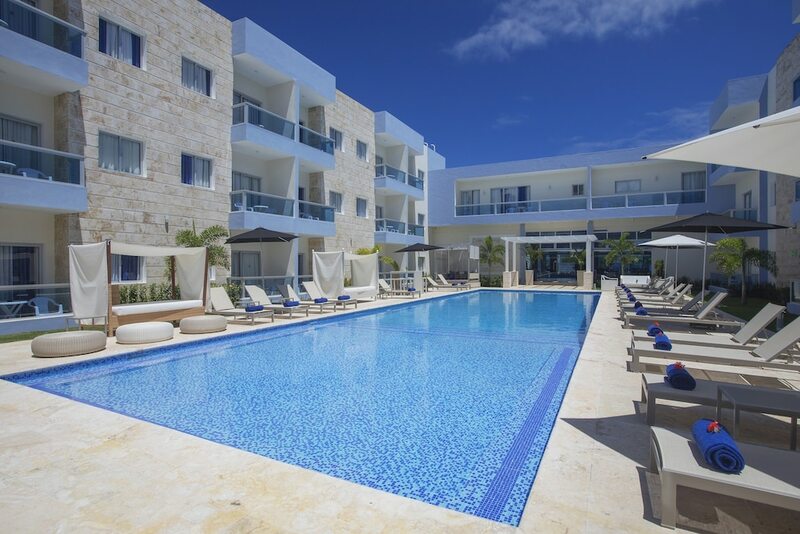 At whala!urban punta cana, guests enjoy an outdoor pool, a fitness center, and free WiFi in public areas. Free parking is available if you drive. Front-desk staff can answer questions 24/7, and assist with concierge services, dry cleaning/laundry, and luggage storage. Additional amenities include a meeting room and a terrace. Good evening dear guest, we appreciate that you have dedicated part of your valuable time to share your experience with us. The Whala! Urban Hotel is designed to provide comfort to its guests. We send you a warm hug from the Whala! Urban family. Dear guest, We thank you very much for your honest feedback. We are glad that you had a nice holiday with us. We will gladly accept your suggestions and try to implement them within our capabilities. How would we be pleased to welcome you again in our house in the future. With friendly and sunny greetings from Whala! Urban Punta Cana. Nicauris R.
Free breakfast is served daily. Recreation features at whala!urban punta cana include an outdoor pool and a fitness center. The preferred airport is Punta Cana (PUJ-Punta Cana Intl. ): 18-min drive, 11.2 mi/18.1 km.